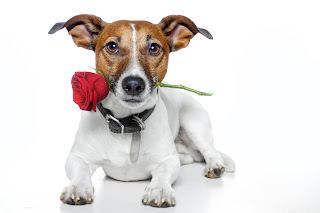 In honor of Valentine's Day, I'm offering the gift of a complimentary flower essence from the Green Hope Farm Animal Wellness Collection to everyone who schedules a consultation with me this month. I often recommend flower essences to support my clients after a telepathic consultation, and have received lots of positive feedback about their efficacy. The 22 essences from Green Hope's Animal Wellness collection are gently supportive and alcohol-free, making them ideal for horses, dogs, cats, and other animals. They are formulated to help ease problems such as separation anxiety, skin irritations, jealousy, emotional outbursts, and inappropriate spraying. Other blends assist in the recovery from surgery or serious illness and in easing past trauma or abuse. Through the end of February, I'll send the essence of a client's choice with each standard telepathic consultation. If you'd like to take advantage of the offer, just request a session through the Animal Translations website.